Many video game fans were excited when Paramount announced earlier this year that a Duke Nukem movie is in the works. For those not in the know, this is a video game franchise that has been running since 1991, and came into its own in 1996 when Duke Nukem 3D hit shelves. This was an extraordinary first-person action game which pitted the player against invading aliens on the streets of a US city and other locales, and was hailed at the time for its great gameplay and also due to its great visuals – actually, this was one of the first games to offer true 3D graphics. Another highlight about that Duke Nukem game was its brash, macho protagonist Duke, a character whose one-liners like “Who wants some?” are fondly remember by many gamers to this day. It makes sense then, that Duke Nukem should be high on the list of video games that could be turned into a movie – and in their quest to make the perfect Duke Nukem adaptation, the film’s producers are looking at 2016’s sensation Deadpool for inspiration. Actually, in an interview with CinemaBlend, producers Brad Fuller and Andrew Form spoke about the importance of getting the movie’s tone right, much in the same way director Tim Miller’s did with his Deadpool movie 2016. “How do you nail that tone in the way that Deadpool nailed the tone? I think we have to do that and if we don’t get the tone right then we’re not going to make the movie”, Form told CinemaBlend. This is because Deadpool’s lead managed to be likeable despite playing a smug, smartass hero, and that movie managed to resonate with audiences as a result. 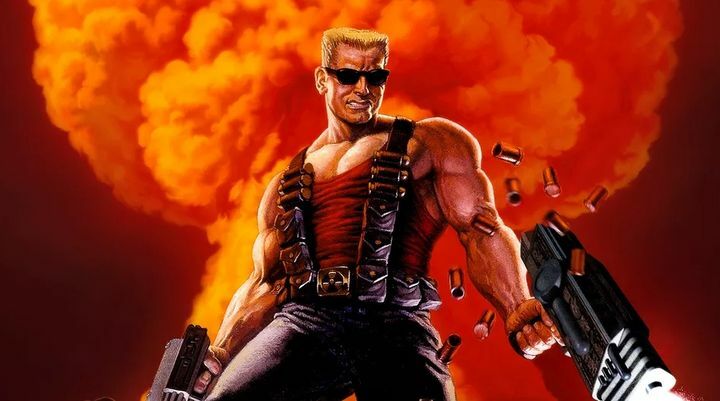 But arguably it will be harder to make a character like Duke Nukem appealing to moviegoers, and this is a result of the fact that Duke is arguably the epitome of the macho video game character who spouts sexist nonsense at every turn and is no fan of political correctness, meaning he’s unlikely to fit in well in today’s movie world. Playing against the film too is the fact that it’s been a very long time since a good Duke Nukem game was released. And it’s likely most gamers don’t have fond memories of 2011’s Duke Nukem Forever, one of the worst video game flops in recent memory. John Cena will star in the upcoming Duke Nukem movie. There’s nothing to stop the film’s producers from trying to make a video game character like Duke Nukem appealing to movie audiences though, and for this they plan to rely on WWE wrestler and actor John Cena. And there’s no doubt he looks right for the part, and surely a lot of the movie’s success will depend on how good Cena’s portrayal of Duke is in the movie. Of course, there’s also what movie pundits and the general public know as the “video game movie curse”, the rule by which film adaptations of popular video games never turn out to be very good. Because the truth is that movies like Doom were both a critical disaster and a failure at the box office, even if its true that films like Prince of Persia and Mortal Kombat were actually quite watchable and did make quite a bit of money at the box office too as well. It’s a matter of wait and see though, and I would sure be delighted if the movie’s producers can pull this off and that the Duke Nukem the film actually turns out to be a fun and watchable movie from beginning to end, something we’ll find out when this hits theatres sometime in the future.